If you are prone to hit the snooze button on weekday mornings, be sure to set your alarm earlier by at least 30 minutes before you should rise. Having extra time to get ready in the morning, perhaps even before the rest of your new home members rise can really help you get things done in peace. 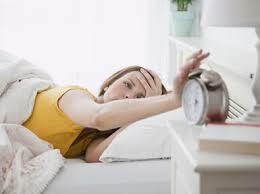 Remember to give yourself plenty of time in the mornings to avoid rushing and needlessly panicking. Having outfits picked out the night before can save you lots of time in the morning. 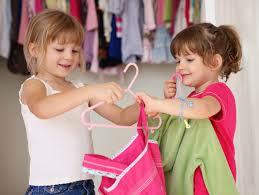 Start by checking the forecast and involve your kids in the clothing selection process, giving them a say in what they wear helps to forge their independence and sense of ownership. Also, it helps avoid the fussiness and opposition many parents experience in so many new homes come morning when it comes to what to wear. Making school lunches the night before and getting snacks prepped for the week can save a ton of time during weekday mornings. Assembling school lunches each morning is so much easier when all the components are ready to be packed at your fingertips. 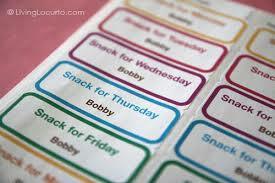 Making use of labels can really help you stay organized as well as let your kids know what’s for snack and what’s for lunch. If the kids in your new home are old enough, they can even help put labels on and pack lunches in the morning. Getting a head-start on breakfast some mornings isn’t always possible in your new home, but here’s any easy way to make a different spin on oatmeal which should please most members of your new home. Oatmeal is a nutritious base for a hearty breakfast but cooking it on the stovetop takes time. To maintain all the nutrient rich qualities, try soaking your oatmeal or rolled oats (not the quick cook variety) in water or milk overnight in the fridge. Come morning you’ve got a chewy breakfast oatmeal based on the Swedish Muesli cereal. 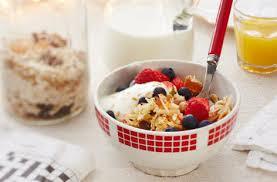 To it you can add favourite toppings like berries, nuts, shredded coconut, fresh or dehydrated fruit or even yogurt. 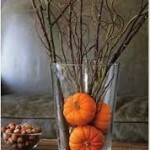 For more great recipe tips and lifestyle trends, be sure to visit the Mosaik Homes Facebook Page!